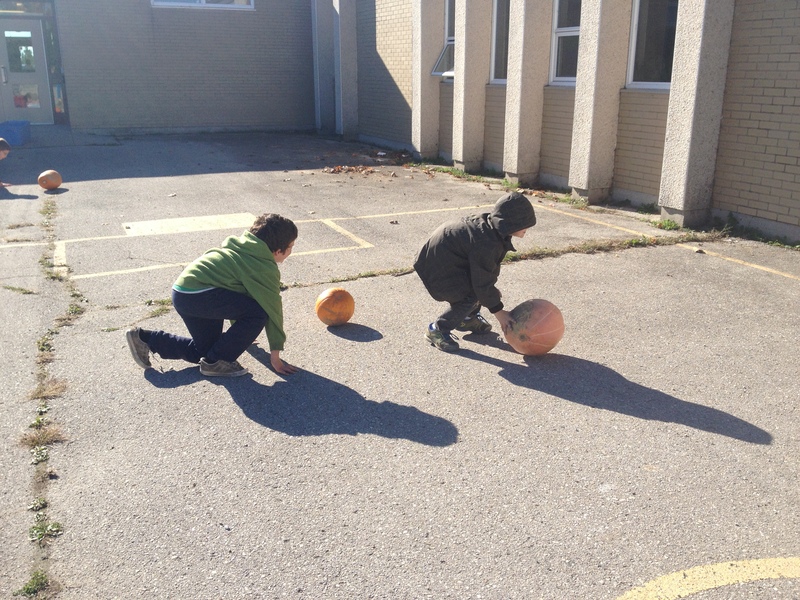 In Gym class today, we went outside to play pumpkin games. 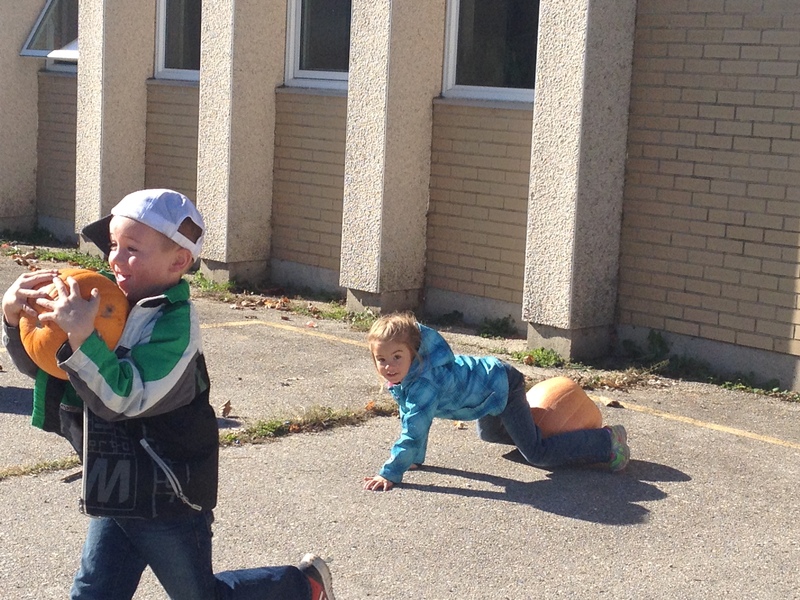 We had lots of fun doing the pumpkin race in teams. 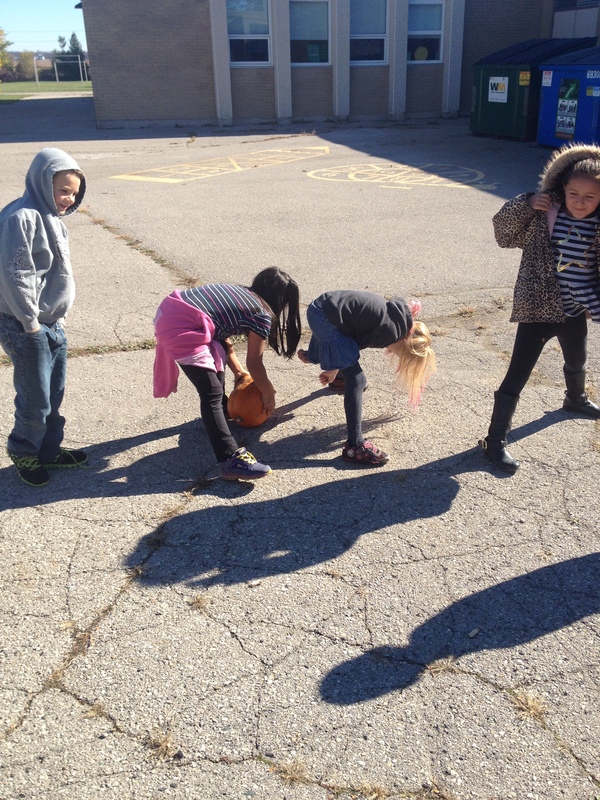 We played pass the pumpkin through our legs. 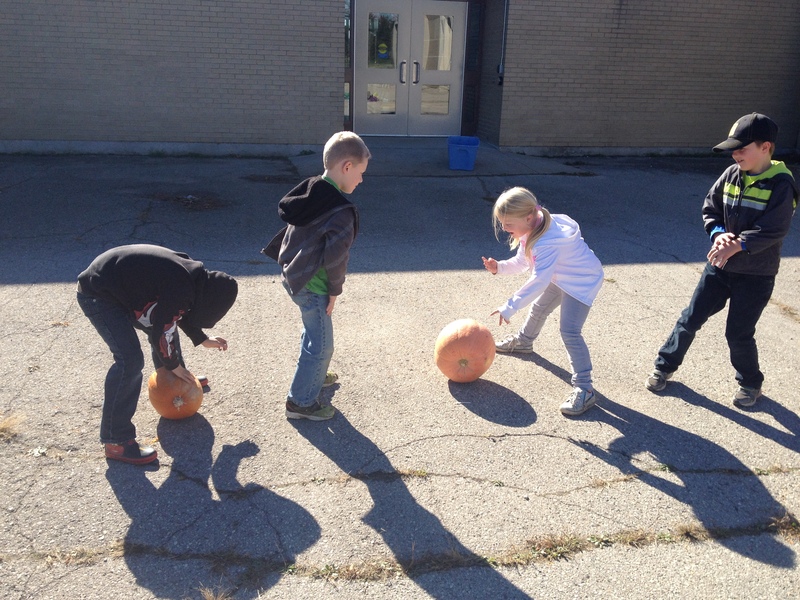 We used real pumpkins. One was really wide. One of our pumpkins was big and heavy. 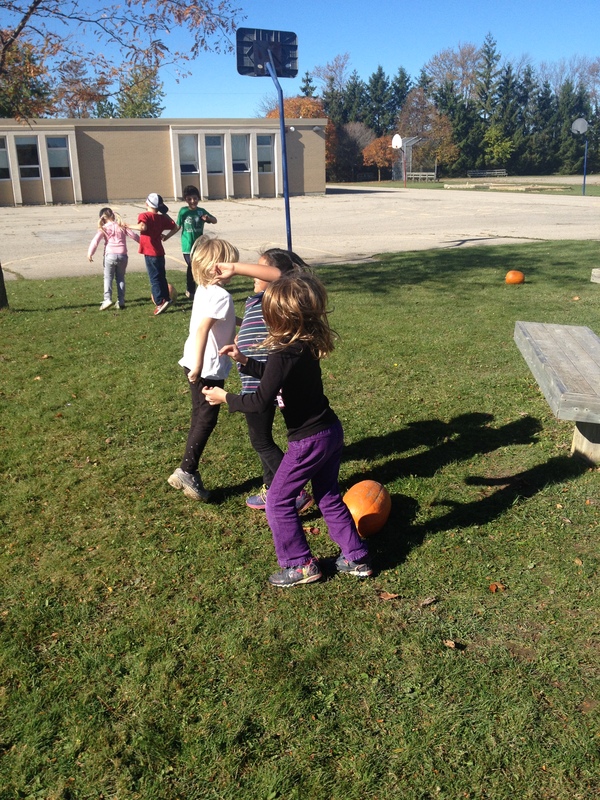 We played musical chairs with our pumpkins by touching a pumpkin when the whistle was blown in a group. We are going to carve the pumpkins next week. 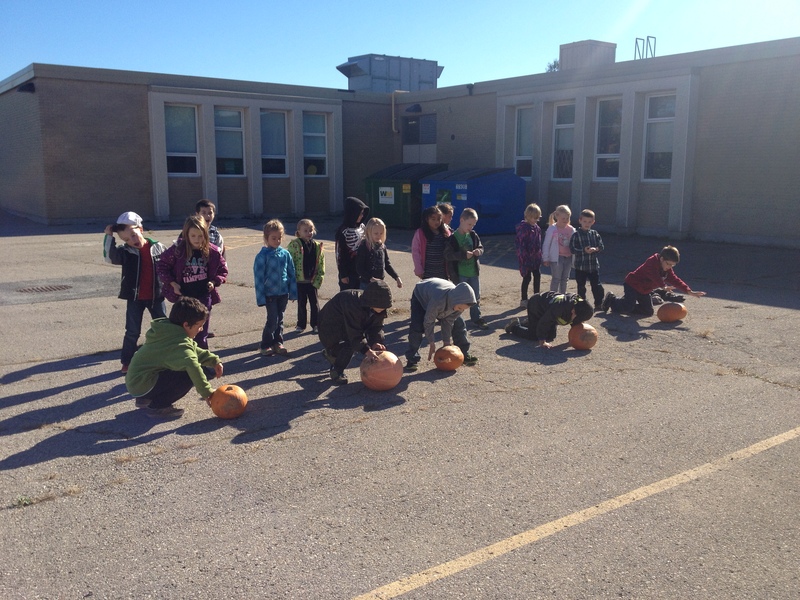 We are super excited to see what we observations we can make about the pumpkins next week. We will compare all 5 of them and then actually carve them!